The last week has been a lot of little things and a lot of parts of big things. And working. And being sick. Today was taking it easy. Cleaning the room. 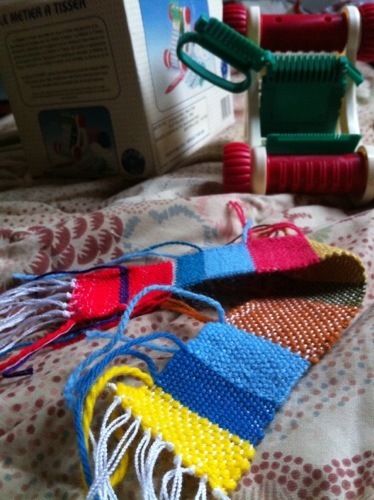 Completing a small weaving. Shirt placket, headband, some other embellishment?